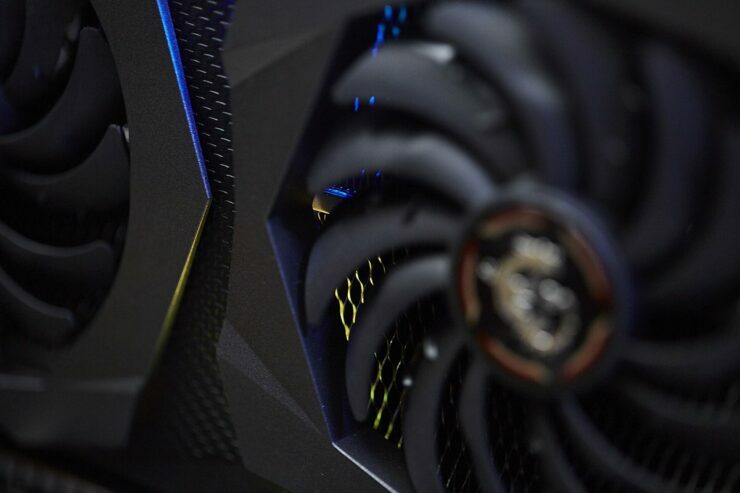 The first performance benchmark of NVIDIA’s upcoming GeForce RTX 2070 graphics card has been leaked. 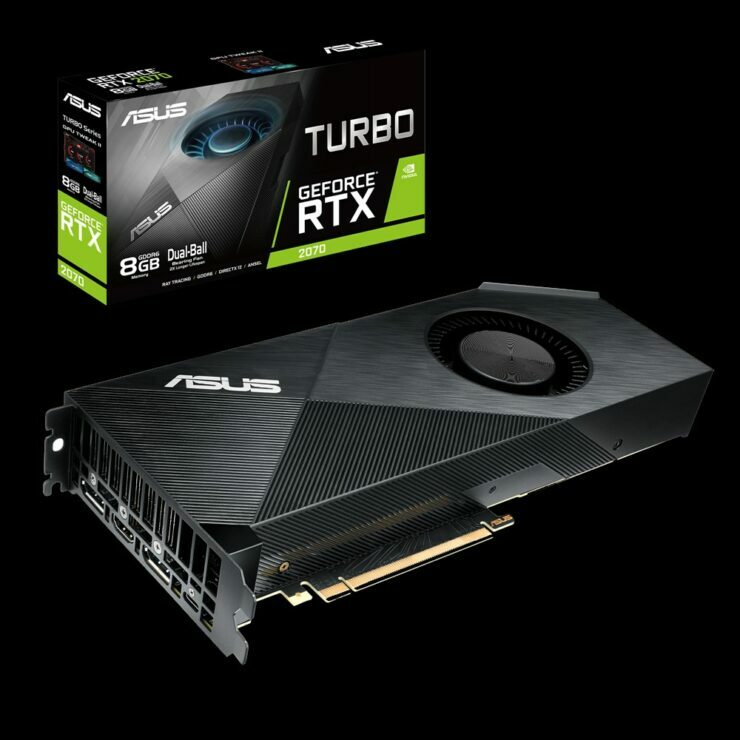 The results come from TUM APISAK and were obtained using a custom model from ZOTAC which features slightly higher clock speeds than the reference variant. The benchmark results posted by the source aren’t very clear since it only displays the overall score and not the individual graphics score. 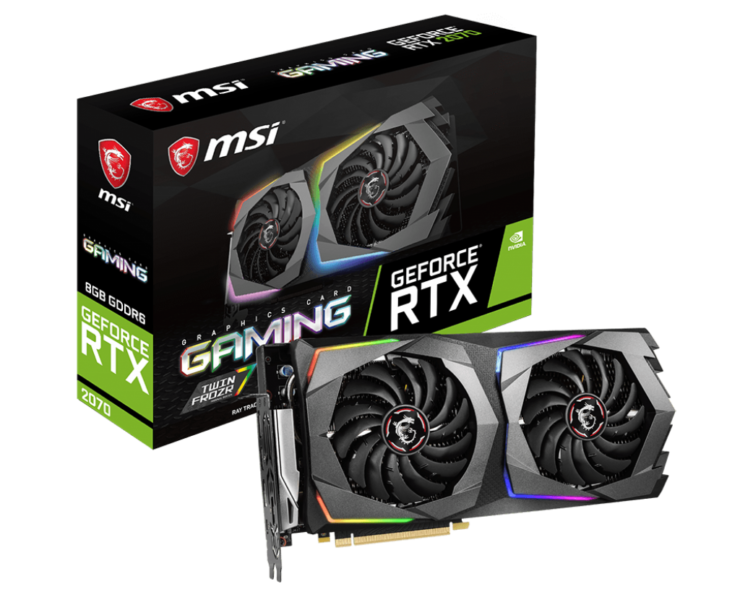 The system was configured with a Core i7-8700K and ZOTAC GeForce RTX 2070 graphics card with a reported clock speed of 1950 MHz (Boost clocks). The score was 8151 points for the entire system and as I mentioned, there are no individual scores provided since the benchmark is hidden. 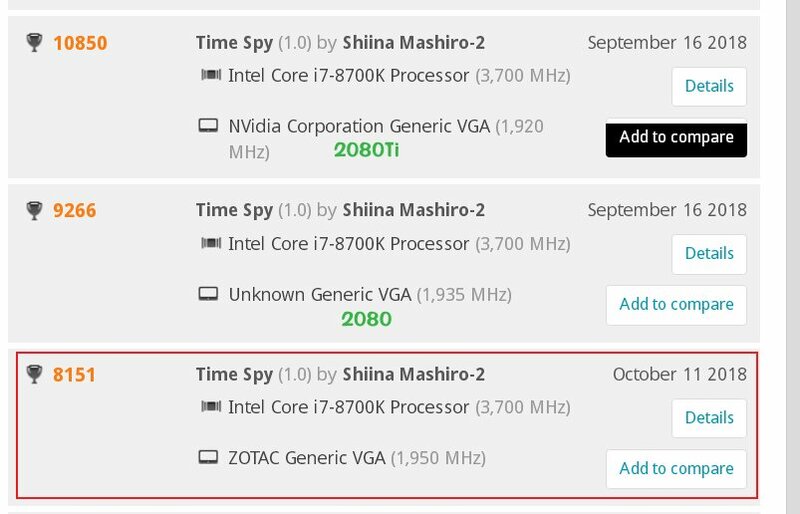 The interesting part is that the GeForce GTX 1080 with the same CPU scores around 7500 points in 3DMark Timespy. The Core i7-8700K used here is clocked at 3.70 GHz which is the base clock of the CPU so it wasn’t overclocked and not affecting in a higher overall benchmark score. 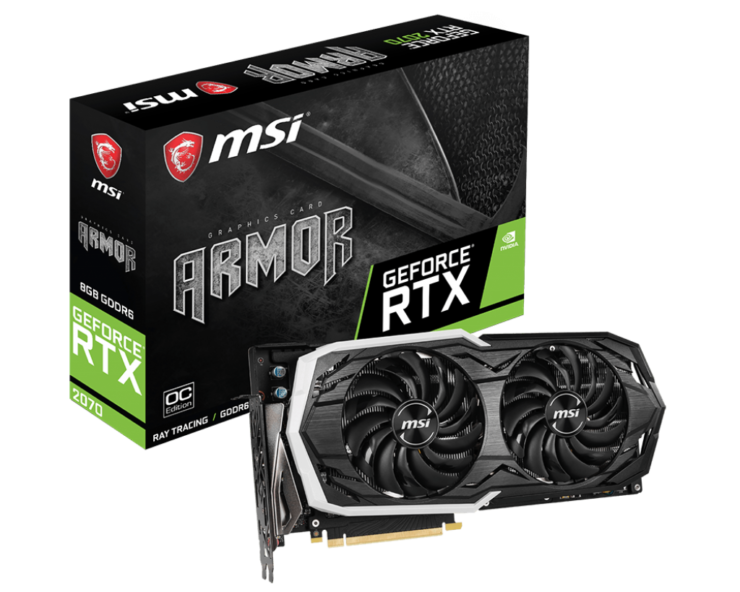 The GeForce RTX 2070 used is supposed to be a factory overclocked model so the performance can be expected to be slightly better on the new card compared to the Pascal-based GeForce GTX 1080. 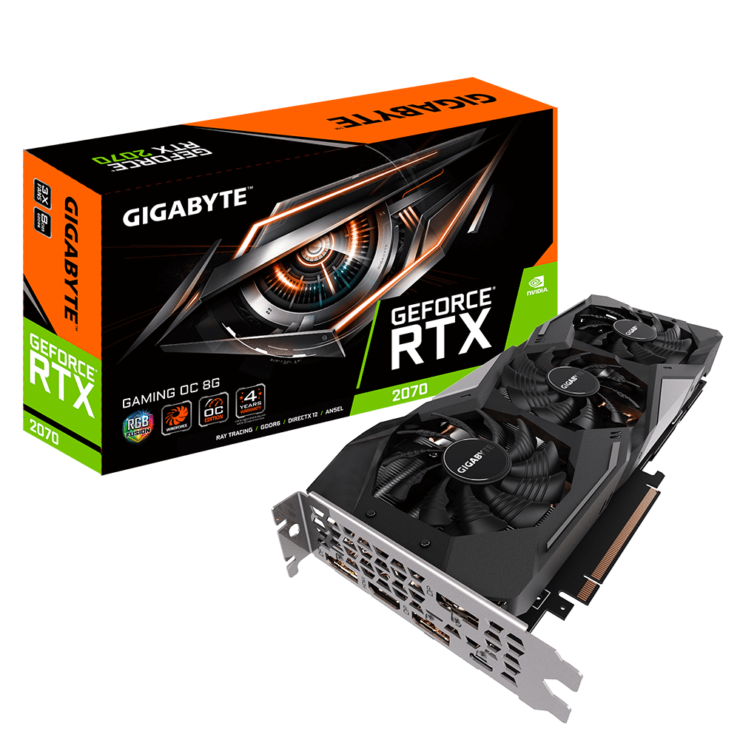 The NVIDIA GeForce RTX 2070 features the TU106 GPU (TU106-400-A1) core which comprises of 2304 CUDA cores. NVIDIA’s 12nm FinFET architecture allows higher core count while retaining faster clock speeds which we have already seen on Pascal cards. The chip houses 10.6 Billion transistors which are a nice jump compared to the 7.2 Billion transistors on the Pascal GP104 GPU. The actual clock speeds are maintained at 1410 MHz base and 1620 MHz (Up to 1710 MHz OC). The chip features 8 GB of GDDR6 (next-gen) memory featured across a 256-bit bus and clocked at 14 GB/s. This leads to a total bandwidth of 448 GB/s. 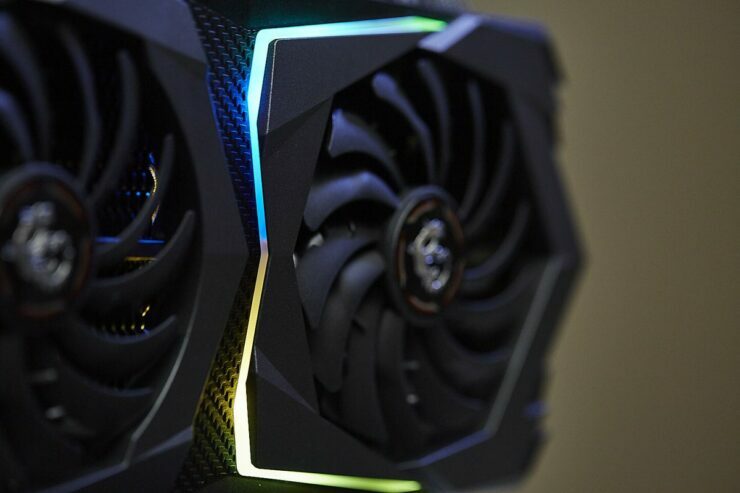 The NVIDIA GeForce RTX 2080 features just 175W TDP. 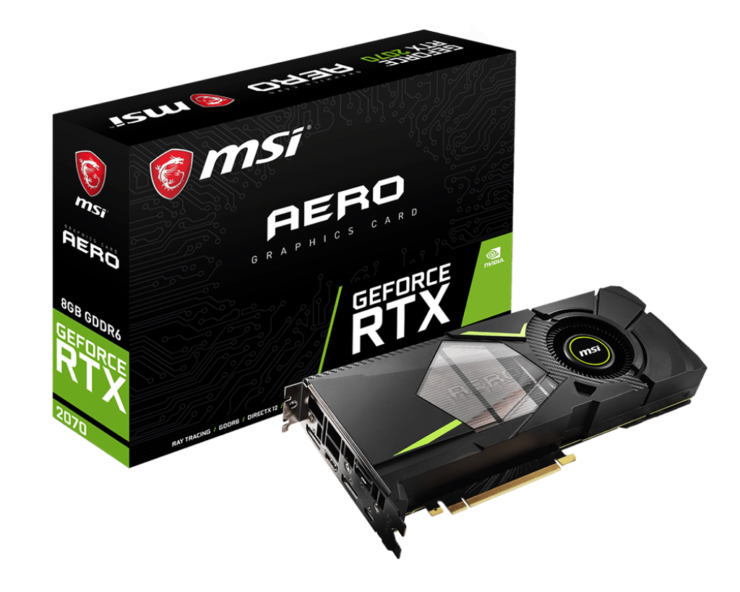 Coupled with a very smooth power delivery system to avoid leakage, the chip is one of the most efficient GPU architecture ever designed for gamers. 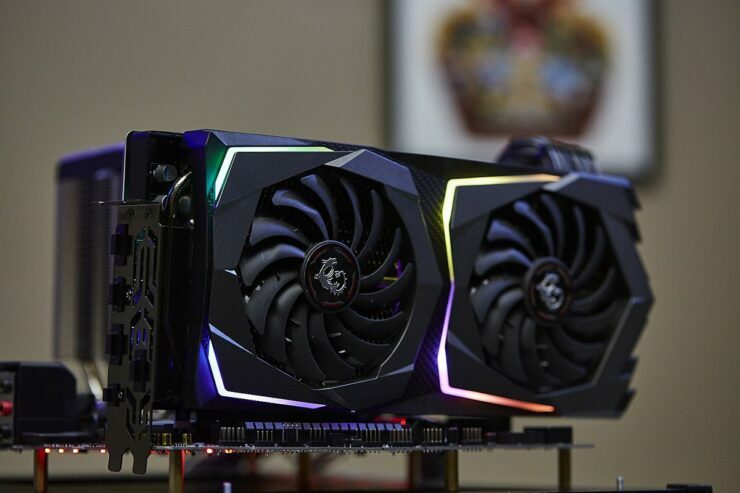 The display outputs for the card include 3 Display Port 1.4 (4K @ 120 Hz), 1 HDMI 2.0b (4K @ 60 Hz) and USB Type-C connector for the Virtual link which means that it is capable to support all next-gen displays with new standards. Power is fed through an 8 and 6 pin power connectors. 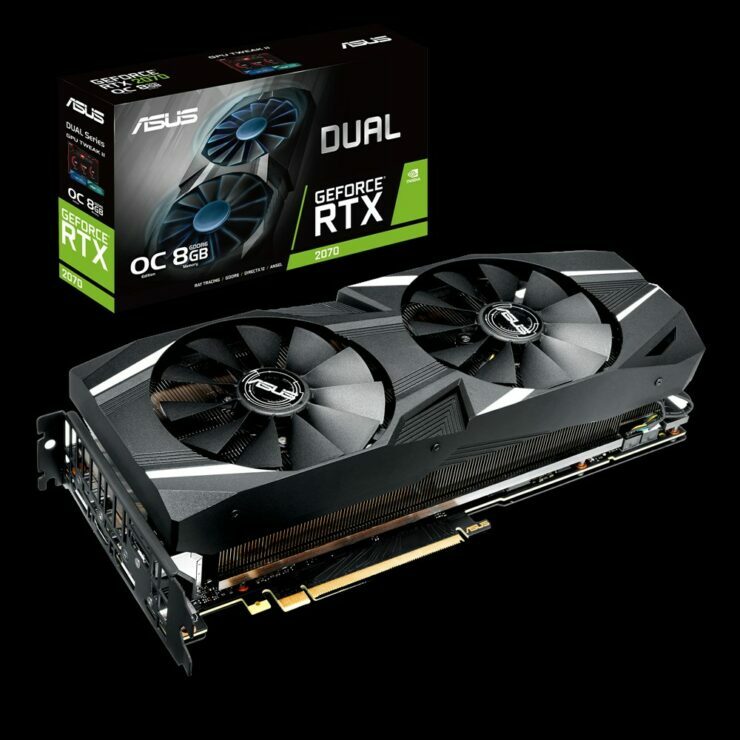 The interesting thing to note from these specifications is that the GeForce RTX 2070 has a lower core count and slightly lower clocks than the GeForce GTX 1080. 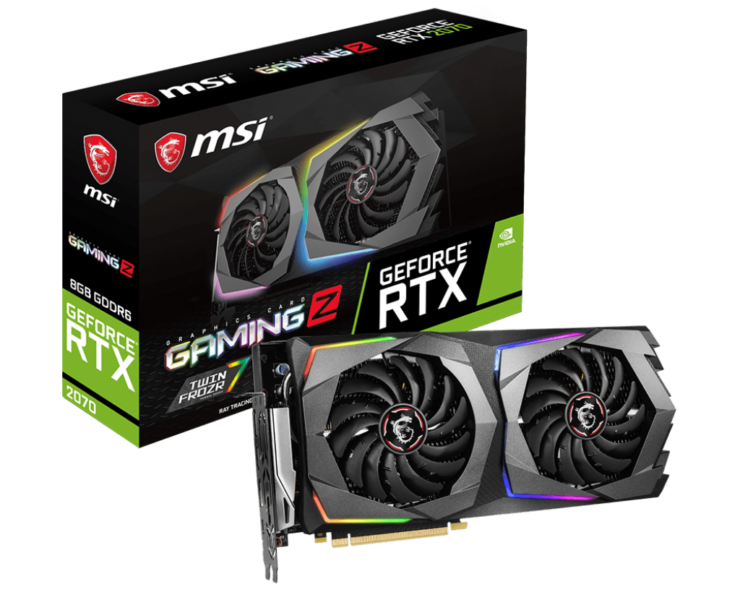 It comes with around the same TDP and power numbers but the main advantage aside from the performance advances from the Turing GPU architecture would be that the RTX 2070 would be the most affordable ray tracing graphics card, for the time being, starting at $499 US. 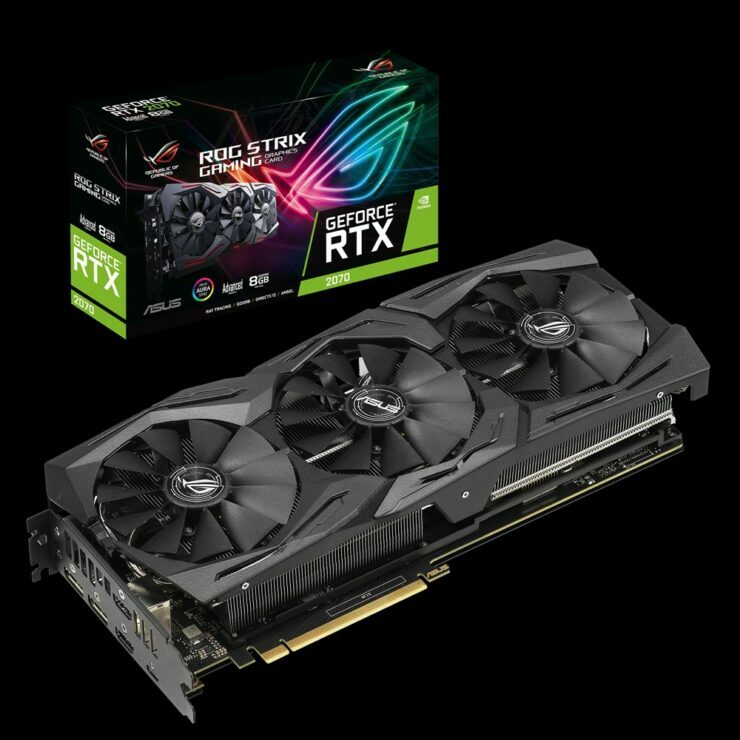 I have heard that the RTX 2070 is going to be in good supply with several custom variants available at launch, next week. The reason is due to the Turing TU106 dies being much easier to produce compared to the flagship TU104 and TU102 GPUs. 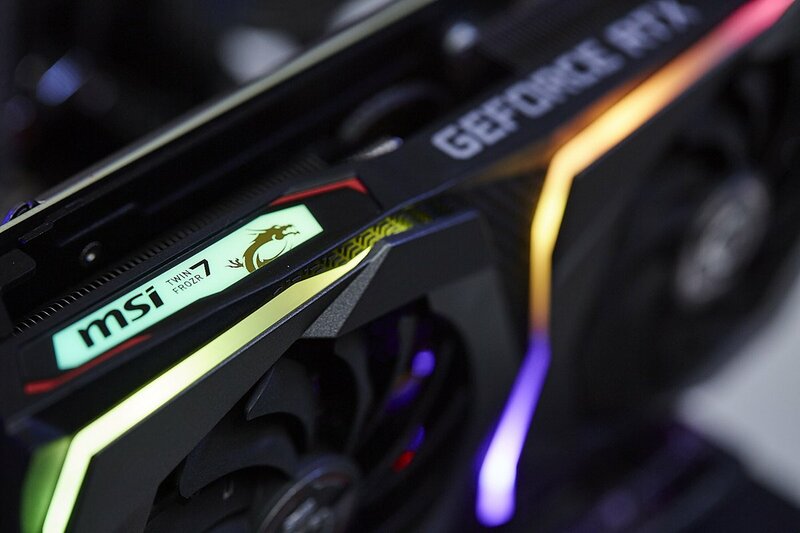 Following are some of the custom models that will be available at launch from ASUS, MSI, and Gigabyte.